This talk is getting tiring by now after FFXV, Persona 5, Nier Automata and Nioh all achieved success on PS4. Yet people have a hard time accepting that PS4 has cultivated a market of Japanese game fans who value quality games. 3DS also attracted a sizeable market for Japanese games and this was seen with the success of games like Bravely Default. Same thing applies to PS4. The talk isn't about if it can sell 1+ million because DQ VIII and IX already did that, it's (just like with MH) about if it can experience the same massive gross Persona and Nier experienced. I am just waiting for Dragon Quest XI to release, Ship 1+ million in the West and then come back to this thread to see what excuse people have in mind for its success. I just said upthread I see it selling 1 million plus. I feel especially if it comes over Multiplatform and scores well, it'll do that. But that isn't something DQ hasn't done before. People would still have there "why is DQ so lopsidedly Japanese in sales?" I'm confused as to who these "it won't pass 1 million" people are. I never really played DQ besides 7 and 8 on the 3DS and I was a sucker for Dragon Ball. So I don't really get why SE wasn't able to promote this to childhood me. I don't like the faces in XI. VIII was sold as a pack in with the FFXII demo. IX was handled not by SE but Nintendo. The demo wasn't included in the EU version of Dragon Quest VIII and I remember reading time and time again that DQVIII actually sold better in Europe than it did in the US. People keep downplaying DQVIII's sales while apparently overselling the value of the FFXII demo. I don't think DQXI will have trouble selling in the west if it's received well. Whether or not it'll be received well likely doesn't only depend on word of mouth/review scores but also if SE bothers to "modernize" the international versions (as they did with DQVIII). I think one of the biggest issue of DQ in the west is that it's perceived as somewhat archaic -- and with its MIDI soundtrack and the lack of voice acting DQXI's Japanese version isn't helping in that regard. 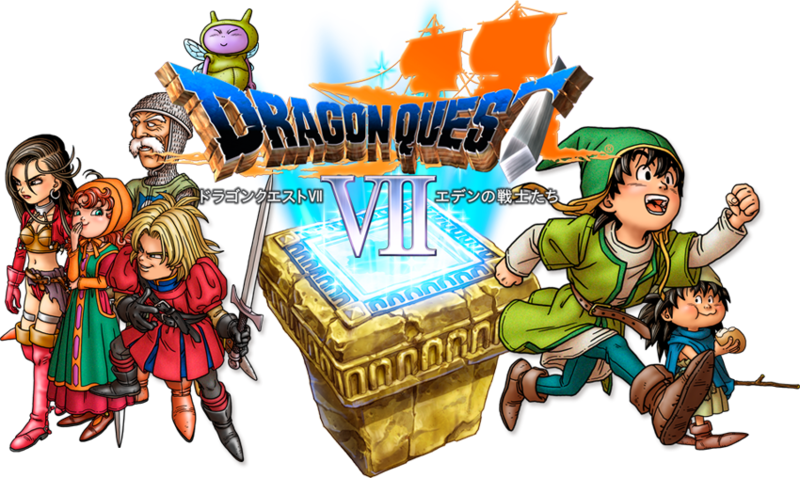 In Japan, Dragon Quest is a very nostalgic franchise so that these old-fashioned elements work, but this sense of nostalgia just doesn't exist internationally. Good point and exactly what i meant, while we had things like "Featureing dante from DMC" on the box for SMT games (lol), something like DQ never had that it is something connected to dragonball for example which im sure alot of people are not aware of. It could tap in the nostalgia Angle which is i think one of the main drividing points of it in japan. Well I'd gladly be wrong since I like DQ but I think the style and traditional gameplay simply doesn't appeal to western audience in the way something very stylish and flashy like Persona can. It's not just the gameplay, it's the menu, the music, the way the story is told etc etc. Some of these SE could "fix" (the music and lack of voice acting) though, which would already make it a more appealing product. It'll be easier to tell when we get more info in the fall. He's talking pre price cut. Implying that the pent up demand only amounts to 60k consoles. Edit: Being needlessly antagonistic, I'm sorry. I think he's saying that we're in a post-console market now so that level of success is simply unattainable. You always end up hating the Nintendo platforms you buy anyway... what was the last time you enjoyed one, first couple of years of Wii? and joining a weekly raffle now is "wanting badly" something ? Well I'd gladly be wrong since I like DQ but I think the style and traditional gameplay simply doesn't appeal to western audience in the way something very stylish and flashy like Persona can. It's not just the gameplay, it's the menu, the music, the way the story is told etc etc. also i am not sayin it WILL, cause i am (sadly) not the ceo of SE and i dont know how they are gonna handle the game. But i dont see that much of hidrance and a lot of room for improvement. I wouldn't be so sure for dq11 as it is a very traditional turn based jrpg without the style and presentation of persona so I don't see it selling all that well. It is possible but might be uphill battle compared to games like nier, ffxv, persona, nioh etc....mh world on the other hand has a good chance of doing over a million in western market and maybe even more if the pc version takes off. Same, the only thing I questioned is whether it would beat DQIX worldwide sales of 5.5 million. It probably could because of being multiplatform if it is released on Steam, PS4, Switch, 3DS since they are all platforms that have had a Dragon Quest title. The problem as pointed out is that this franchise hasn't really grown in the west. For example, it's great that Square Enix released their old Dragon Quest games on Smartphones in the west because it's conveniently cheap for me to play it on. However, I can't find sales data but I wouldn't be surprised if they haven't sold that great since they are premium priced games on Smartphones. But you are right we should wait probally how SE handle it here. I was on the same boat as you guys that turn-based RPGs don't sell in the Western market and then Persona 5 happened. I guess we will have to see how DQXI fares in the Western market but if anything, atleast SE can play it smart and try to market the art style by saying it is from the 'creator of Dragon Ball Z' which was the key to making Ni No Kuni a success with its 'Ghibli art style'. Oh indeed, I don't really agree with that post either. And yeah the DQ IX marketing was pretty meh and I'm pretty sure it was Nintendo. It had all the kind of stuff they'd do in commercial at the time, very aimed at a "casual" audience (at least in Europe). I'm sorry to repeat myself again but it's not the turn based thing in itself that is (imo) an issue, but the presentation and flow. They're completely different between DQ and Persona and I think this what will matter in the end. That would have worked 20 years ago, it will be hard to use that argument today. So..you're basically saying that despite Switch essentially matching 3DS so far despite severely constrained supply, its going to be impossible to meet 3DS LTD sales because? Why again? He also claims that Switch isn't THAT supply-constrained - at least not enough to make up for the price cut jump (which I think is both incorrect and a comparison that doesn't make a lot of sense either way). Switch is more expensive and will remain more expensive than 3DS for its entire active lifespan because of Nintendo's own design choices. 20 years? Really? also dragonball, especially in europe (from my perspective anyway) has still a strong draw, hence why still dragonball Z games are happening, despite the anime being not a thing for decades, and dragonball super is remotly popular. yeah not great. On the topic if DQ XI im also curious how the split between 3ds/Ps4/Switch is gonna be, in japan as in the west. If you are claiming that the stylish presentation helped, then I disagree. Reviews helped far more than the presentation as you would call it. This wasn't even the case with the trailers which also showed that the game had strong anime roots with the opening and cutscenes all being heavily animated. NISA and XSEED do it a lot with their niche games and you don't see them having much of an impact on the sales. 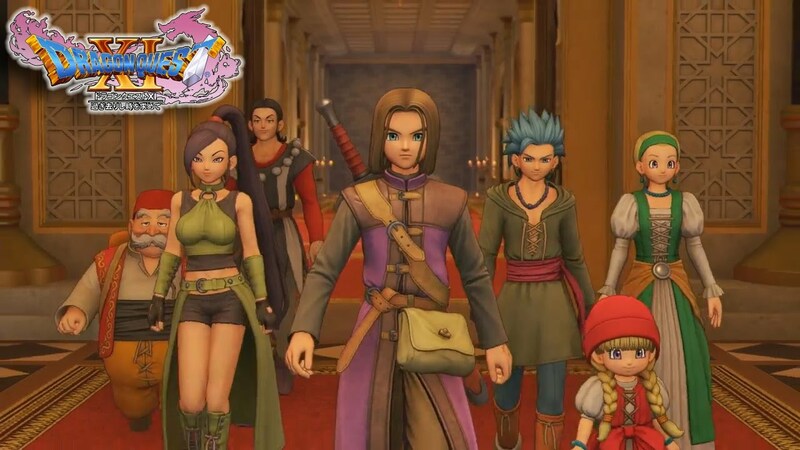 Dragon Quest XI can be marketed as a story heavy JRPG with a likable cast of characters. If it gets strong reviews, like really strong with 90+ average, it should have no problem gaining attention of the same kind of people who also bought Persona 5. IMHO, the presentation was the least bit of attractive thing on my mind when I was sold on Persona 5. It was the strong reviews. The 9 and 10s given to the game that just increased my hype pre-launch. you blow reviews out of proportion imo Do you you know how many games there are with the same metacritic and genre and have huge gulfs in the sales? 20 years? Really? also dragonball, especially in europe (from my perspective anyway) has still a strong draw, hence why still dragonball Z are happening, despite the anime being not a thing for decades, and dragonball super is remotly popular. Yeah, 20 years. 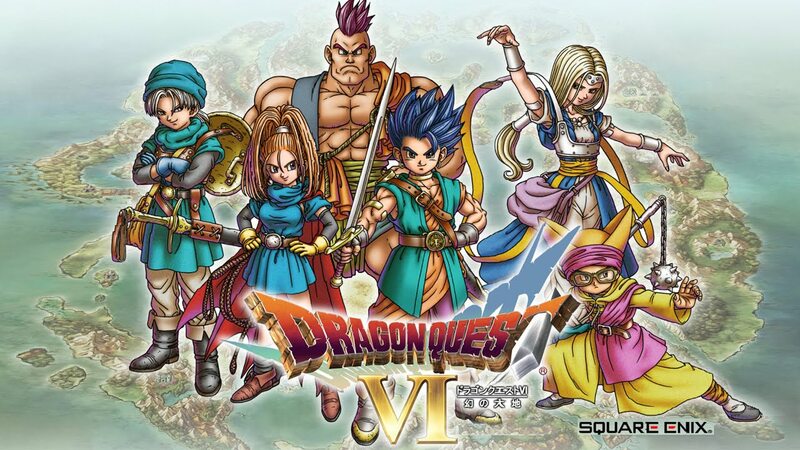 I think that was Square's biggest mistake with DQ : not using Akira Toriyama as a way to promote the serie through Dragon Ball popularity. There's no doubt that DBZ is still strong and despite a bad start, Super is growing in popularity, but it's a fraction of what it was. Not to mention that, unlike older DQs, DQXI characters in 3D don't really look like DBZ ones. 3DS's first december was pretty insane iirc. It got one of the biggest non launch week for a system ever. Edit : It did two 350k+ weeks then reached 480k which is massive. Nintendo is reading GAF and they think there's a high chance that the Crash Trilogy is coming to the Switch in November. If nothing is announced in October, they can release the Donkey Kong Country: Bananas Pentalogy they've been sitting on. Haha, and I know it's a joke but I don't think Crash would do particularly well on the Switch. It's clearly tapping into old PS owner's nostalgia. Lol no way. The Switch has a simple design, it will scale very very well over time. And a lot of the expensive bits (bluetooth controls etc) will be able to be cut for a cheap handheld only kids version. YSO seems to stick with their first week prediction for DQXI based on their second week drop for both versions. They all put the 3DS version above now, unexpectedly, but not by a huge margin. Switch is made from off the shelf parts the 3DS wasn't. There's a lot of scope with which they can dramatically drop the price. Only question mark is if Nvidia screwed them over with the Tegra chips deal. I think there is some truth to this statement. I think they are sitting on games in case some other game gets delayed. Tropical Freeze would be perfect. I would buy that despite never buying it for the WiiU. That game deserves a second chance. I think the 3DS version alone is going to sell a million units this week. Or maybe Nintendo thinks Mario Odyssey will be big enough to sustain the holiday season almost by itself. That'd be lower than FFXV, not going to happen. Mario Odyssey release too early in the holiday season to make me think that there isn't another game planned for November. It certainly is an odd release date. You mean like a huge caliber title? Because Xenoblade should release during November or December. Xenoblade is not a major release. Xenoblade is most likely December but I was talking about something a bit more important, to carry holiday sales alongside Mario. True, that's why I asked if he expected there to be another huge caliber title. Xenoblade is not a big caliber title, but it does release in that time frame. I see, just wanted to clarify that bit! I personally lean towards a no, but I would by no means rule it out. They should announce this rather soon, though, unless it's a game that is already announced for other platforms before (maybe DQXI?). People are questioning whether DQXI can ship 1 million in the west? Lol. That is easy and it has nothing to do with PS4 being a good or bad platform. If it's a good platform then DQXI should sell 2 million. Eh, I think it'll be okay. Could do better than XCX given the health of the Switch. It does seem like they're expecting larger Switch shipments based on Splatoon 2's predictions, it'd be a sub 50% drop from what they expect this week. Splatoon 2 could be above DQXI on PS4 by Obon, on weekly sales that is. I'm not saying its going to bomb or anything- just that its a relatively niche series. Its not what I would consider a big November tentpole game. That doesn't make it a major release. That is easy and it has nothing to so with PS4 being a good or bad platform. If it's a good platform then it should sell 2 million. I believe most (not all, that's true) agree that 1 million is already in the bag, and are debating the 2 million bit.